Consumers who use the Association’s FIND A LOCAL MEDICARE SUPPLEMENT AGENT online listing see multiple agents. That’s why the appearance of YOUR listing is so important. 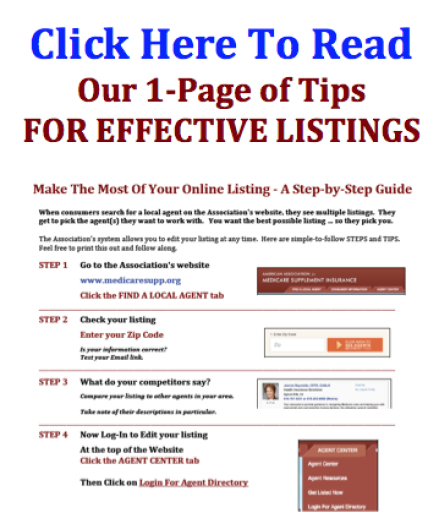 We have prepared a single page of tips to help you make your listing as good as possible. Simply click on the image below to open and read it. 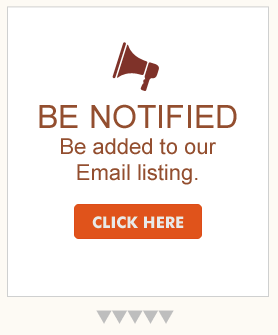 We recommend you print out the page so you can refer to it easily as you work on your listing. If the image doesn’t open for you, you can also CLICK THIS LINK to access the PDF file. The Association created a system that is simple to use. You can easily log in to access and edit your information at any time. We do know that not everyone feels comfortable working on computers. Please understand that each computer and each operating system (Google Chrone, Safari, Firefox or Explorer) can be different as well. That’s why we regret that the Association is not able to help individuals. But trust us … give it a try. For some things like adding your photo, we have included TIPS that you can click on and read. Hundreds of agents have successfully added their listing and we are confident you will have success. (Or, as I often do … I ask one of my adult kids for help).